Over the past few months the Securities and Exchange Commission has been actively rejecting Bitcoin exchange-traded fund applications. However, ETFs with exposure to Blockchain technology are more likely to be approved. Sorry, Bitcoin: in the world of crypto ETFs, the blockchain is king. Over the past few months, the Securities and Exchange Commission (SEC) has been actively rejecting Bitcoin exchange traded-fund (ETF) applications. However, ETFs with exposure to Blockchain technology are more likely to be approved. Blockchain is the technology developed as the accounting method for the virtual currency Bitcoin. It is important to understand that blockchains use what's known as distributed ledger technology (DLT), whichis used to verify transactions within digital currencies. Yesterday, Reality Shares, Inc., a privately owned investment manager, filed an application for a Blockchain ETF called Reality Shares Nasdaq Blockchain Economy to be approved. Commenting on the Reality Shares, Inc. application, Eddy Travia, CEO of Coinsilium, the blockchain venture builder and investor that finances and manages the development of early-stage blockchain technology companies aid said this move augurs well for the acceptance of blockchain ETFs. "This application for a fund tracking the performance of an index designed in association with Nasdaq and measuring the returns of blockchain companies is great news for the blockchain industry overall," he said. "This initiative brings further legitimacy to blockchain companies, it can be used to highlight the winning strategies and identify the future stars of this competitive space and demonstrates the potential of the blockchain industry as a key investment sector," Travia added. Bloomberg ETFs analyst Eric Balchunas highlights there are two filings now, another Blockchain ETF application in the running is Amplify Blockchain Leaders ETF. We have yet to see who will be approved. "I see these as thematic ETFs similar to Lithium ETFs hold Lithium stocks related to that industry," he told TheStreet. "It doesn't track Lithium the commodity." Commenting on Reality Shares, Inc, application Balchunas believes the two blockchain ETFs are more likely to be approved first. Recently the SEC told leading fund management firm VanEck that it will not review the firm's registration statement for a Bitcoin ETF. 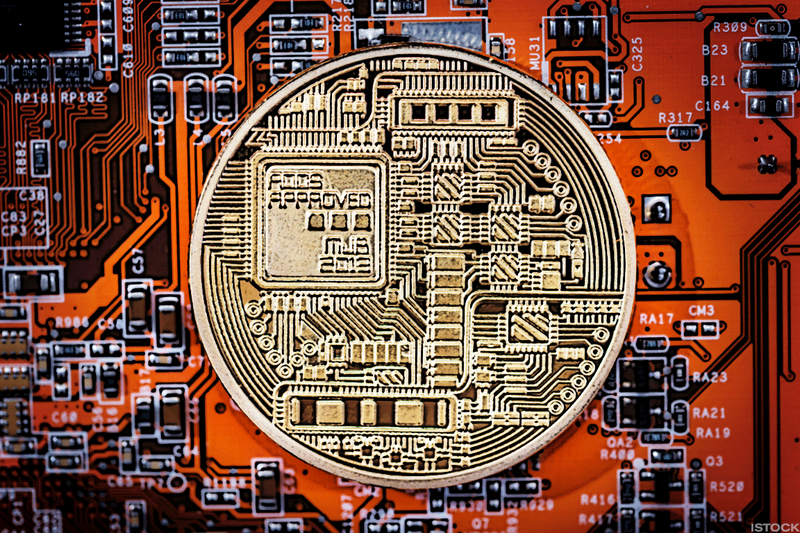 VanEck subsequently withdrew its application for the VanEck Vectors Bitcoin Strategy ETF, which would have relied on combination of bitcoin funds and futures as its components. REX Shares, a Connecticut-based fund management firm with a "focus on delivering new alternative ETPs (exchange traded products)" filed to begin trading on two new actively managed funds, the REX Bitcoin Strategy ETF and the REX Short Bitcoin Strategy ETF, but has also withdrawn its application to the SEC for approval. "These latest ETFs look like they will track stocks related to blockchain technology and the Rex, the ProShares and the VanEck those were going to track Bitcoin futures," Balchunas said. "The Winklevoss ETF is the one which will track Bitcoin itself." The blockchain ETFs seem primed to be approved more easily than the Bitcoin ETFs.